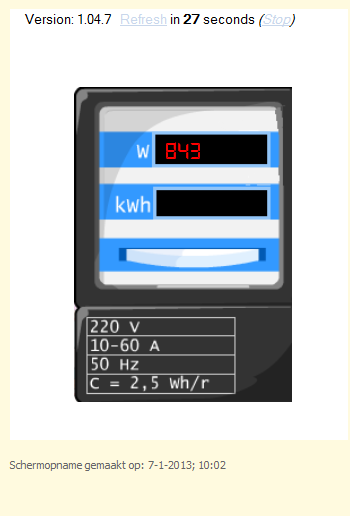 does anyone know the Youless energymeter? Your ph_regexdiff1 function needs some work. quotes, you'll want to use ph_getvar_s(1,1) instead of "
strings appear in the returned JSON data. data from the ph_geturl function. 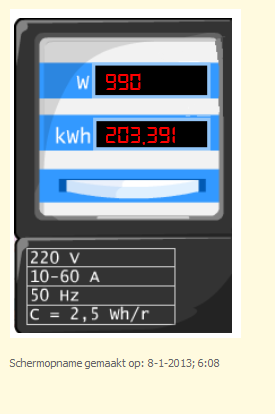 Yep, it is working now, crazy that I did not find the typo Now I can go on and extend the macro with more functions like history etc. The usermessage was just used for checking what was in LOCAL1, it can be removed now. 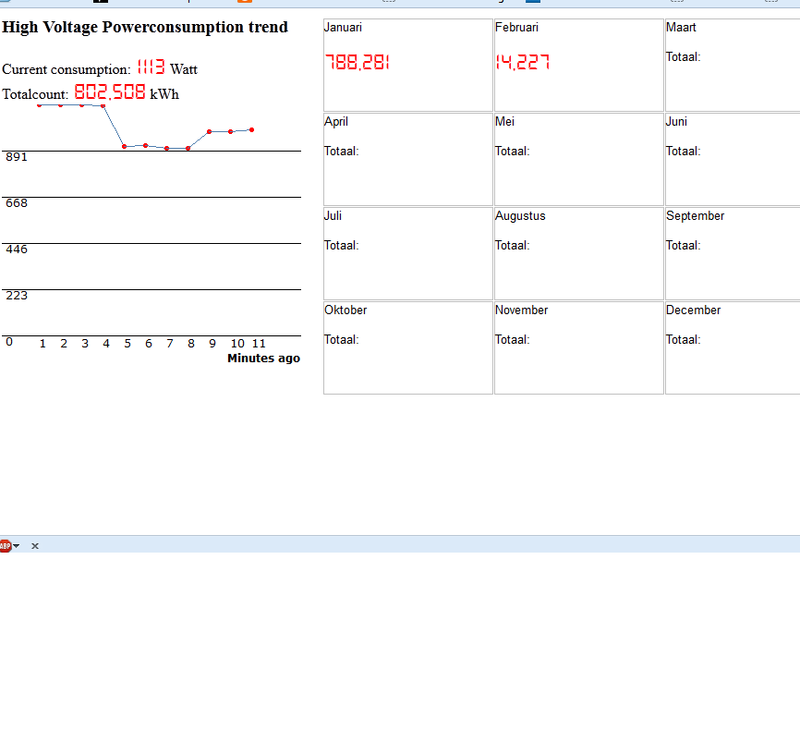 Here is some more work on the youless... what I've done is get a basic Chart-script and convert this for PH and added a calendar which says what the total used electricity is on each month and the used kWh so far for the running month. to get this data into PH is pretty basic. On the last day of each month I put the metercount into a GV and subscract the last month from the totalcount.